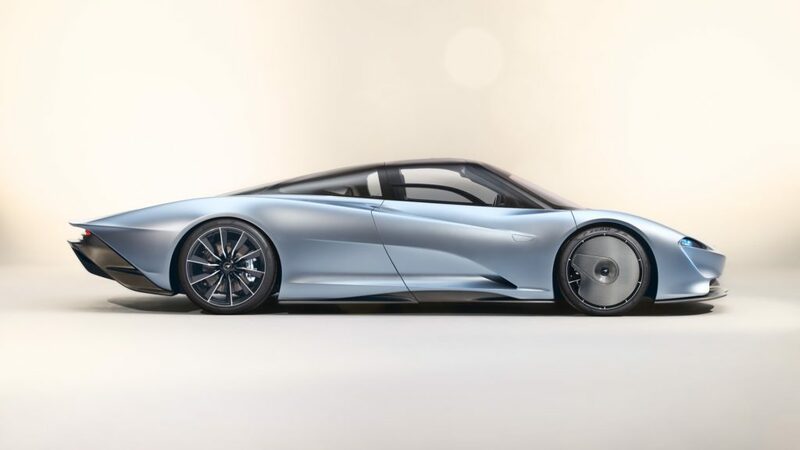 McLaren F1, P1, Senna and now Speedtail is part of the McLaren Ultimate Series. It is also the latest McLaren that will only have 106 units produced, all of which are already sold out at £1.75 million. 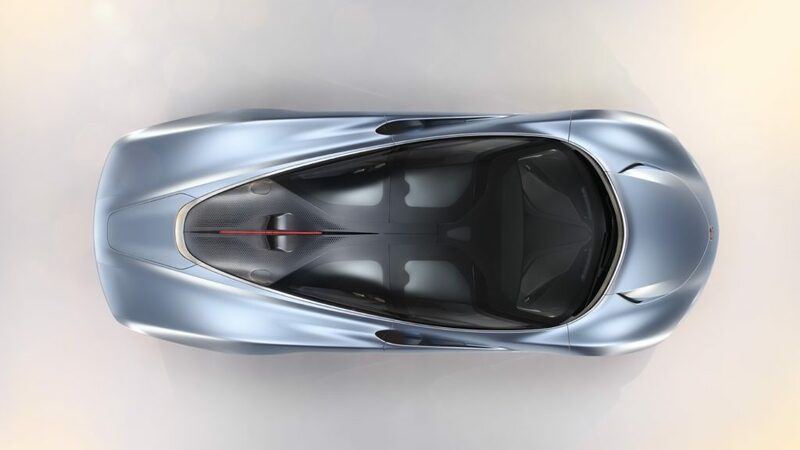 It is designed after the fastest shape known in nature, ‘a tear drop’ apparently. 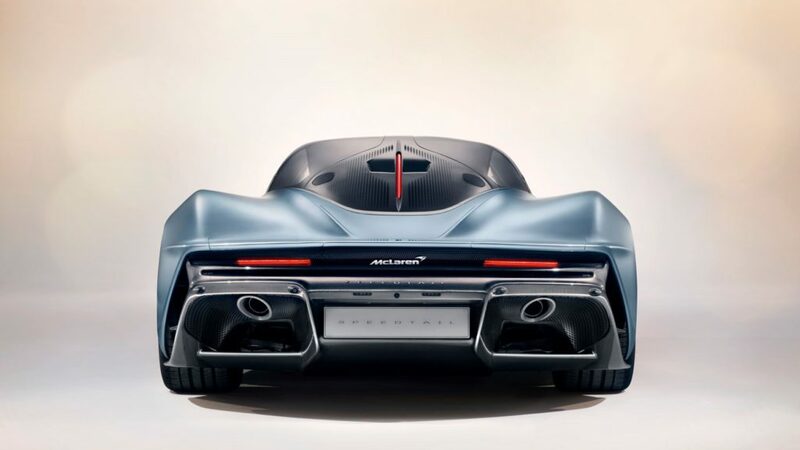 The purpose of this car is nothing but speed, and it’s 0-186 mph in 13 second benchmark, makes it the fastest production car ever, beating the likes of Bugatti Chiron by 1 second, and even it’s own siblings Senna and 720s. Designed with a wider front and slender rear, McLaren claims this is their most aerodynamically efficient car yet. It has very subtle but amazingly designed ducts the flow the air perfectly around the car to create down force and channel it to the radiators and even has a exit located on the doors.The front wheels are capped with Carbon Fiber hubs that don’t rotate with the wheel but remain static to create less disruption and also participates in the channeling of air with the profile of the body. There are also no side view mirrors on this car, instead there are a couple of hideaway HD cameras on each side that stream live on to the screen on the inside of the car mimicking the effect of side view mirrors. The car doesn’t have a rear wing like most cars in this category, but instead McLaren has devised ‘ailerons’, something that can only be found in aircraft. These nifty pieces are part of the Carbon Fiber body and extend at high speeds. Hydraulically actuated, ailerons move the center of pressure towards the rear providing the car with more down force. 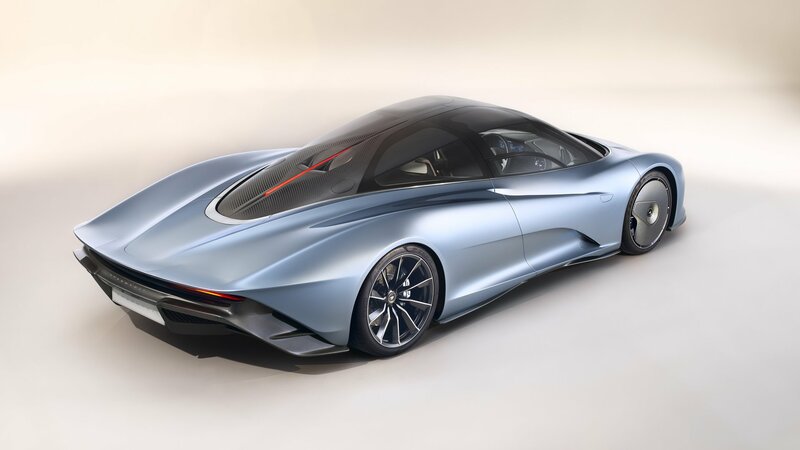 To be the fastest car, you would have to think outside the box and this car oozes innovation in design and engineering no matter which angle you choose to look at it. Dual exhausts in the rear create one heck of a sound plus the car even lowers when hitting high speeds. The interior is nothing short of remarkable when it comes to surprise in both form and function. It is a three-seater cabin with two passenger seats and a singular centered driver’s. Facing the driver are three High Definition screens, middle one is all about the car information like speed, revs, fuel etc, the one on the right handles all the infotainment and the left is vehicle controls. Farther on each side are the screens that display footage from the retractable wing mirrors located on each door. All of the core controls like the gear selector, start engine button etc reside overhead which gives the feels like an actual aircraft cockpit. 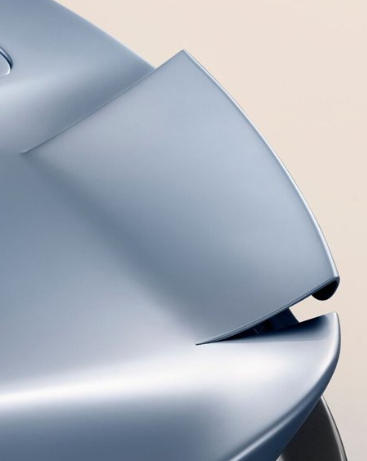 Each time McLaren releases a new car, we hold our breath and our brain tries to understand what our eyes see. For it is not something one can take in and be content with it, it is truly a work of art and there is nothing in the world like it and if anyone can even come close to defeating this, it would be the next time McLaren unveils a newer model. But for now, 106 individuals in the world are some of the luckiest people alive to own and be able to drive this machine.